Search events by topic area. The Office of Business Engagement is pleased to support Entrepreneurons. 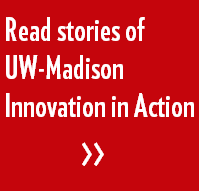 Join us as WARF’s new Chief Venture Officer, Mike Partsch, officially launches WARF Ventures and shares his initial impressions of how WARF’s venture office can make a difference to UW-Madison’s entrepreneurial environment. Veteran business lawyer Paul Wrycha, partner at Foley & Lardner LLP, will join Mike to talk about where the Madison startup scene is heading. More. The April Wisconsin Tech Council Innovation Network luncheon will examine the “Green New Deal. ” Learn about the future of bioenergy and bioproducts at from Tim Donohue, executive director of the Great Lakes Bioenergy Research Center at UW-Madison, and gain perspectives from Scott Coenen, executive director of the Wisconsin Conservative Energy Forum, and John Imes, executive director and co-founder of the Wisconsin Environmental Initiative. The goals of this workshop are to create a safe forum to engage in self-reflection and dialogue with others about inclusivity. Explore how your life experiences and assumptions shape your understanding of and actions toward inclusivity. Discover commonalities and differences between social identities and experiences of the “isms”. Examine how “unconscious bias” leads to unintentional exclusion of others and more. In this course by UW Center for Executive and Professional Development. you’ll learn data-driven problem solving methods that Lean and Six Sigma provide to help radically improve business processes in your organization. You will also learn the critical elements missing from most process initiatives: organizational change management and gaining buy-in. When you finish this course, you will be Six Sigma Yellow Belt certified by the University of Wisconsin. More. Join us for a truly inspirational survivor story with acclaimed speaker and bestselling Author, John O’Leary. Burned on 100% of his body and given less than 1% chance of survival, John is proof of the power of the human spirit. John will share inspiration and motivation to live your best life personally and professionally. The Office of Business Engagement invites you to Day on Campus. Connect with UW–Madison business engagement teams representing the resources you need to advance your business, network with your peers who are finding success with UW resources and find actionable tactics. It’s a fast-paced, business focused day so you’ll be ready to take the next step in your relationship with UW–Madison. More. Pursuing opportunities in global trade can be daunting. From finding financing and complying with complex regulations to determining distribution channels and selecting the most viable markets, it’s a tough job. Accelerate your growth, find the right resources, and speed up your international potential at the 55th annual Wisconsin International Trade Conference. More. With this online, self-paced course, you will develop a solid understanding of the basic concepts underlying quantitative analysis and business statistics important to any business problem, and especially so for Six Sigma projects. Gain the knowledge and the tools to dissect complicated business problems and provide quantitative analysis to problems instead of relying on intuition and instincts. More. This online certificate provides a complete toolkit for well-rounded professionals. Graduates gain a competitive edge by learning how to lead teams, create and deliver dynamic presentations, effect change, and understand legal, financial, and marketing concepts, among other essential skills. More. In this DreamBank session, learn true stories and real-world case studies that’ll prove just how important brand is. And leave with actionable ideas and on how you can discover, craft and communicate your ‘completely true, completely you’re personal or small business brand.